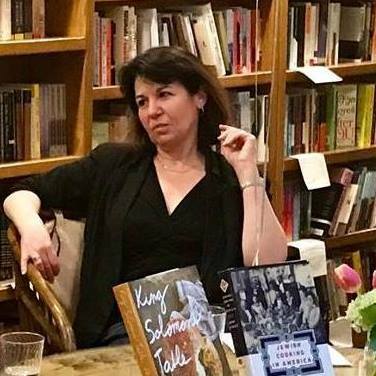 Bookends & Beginnings is the independent bookstore Nina Barrett has dreamed of opening since she moved to Evanston in the late 1980s, but for a while both she and Evanston went in other directions. During the period when two large chain bookstores faced off downtown, Nina was raising two children and freelancing articles, essays, and reviews to Chicago and national publications. She published three books with Simon & Schuster, the first of which—I Wish Someone Had Told Me: A Realistic Guide to Early Motherhood—remains in print with Chicago Review Press. When she briefly tried to escape the world of words by getting a professional chef’s degree in 2007, she still wound up as a food reporter. Her “Fear of Frying” series for Chicago NPR affiliate WBEZ earned three James Beard Award nominations and two actual awards, in 2012 and 2013. Nina opened Bookends & Beginnings in June of 2014 with the help of her husband Jeff Garrett, an internationally recognized expert on rare and specialized library collections, as well as global children's literature. Jeff's early involvement with the store is reflected in its unique collection of children's books in 48 foreign languages, including Kurdish, Maori, and Basque. In 2017, Jeff returned to librarianship and library consulting. 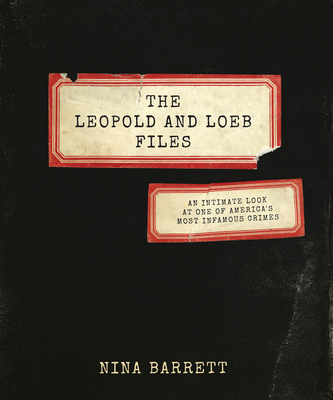 In July of 2018, Nina published The Leopold and Loeb Files: An Intimate Look at One of America's Most Infamous Crimes (Agate Publishing), a book that was praised by Rick Kogan in the Chicago Tribune for its "astonishing and compelling detail." Nina often gives talks about the case and its ongoing relevance and fascination to a 21st-century audience. You can find out more about the book by visiting www.leopoldandloebfiles.com.